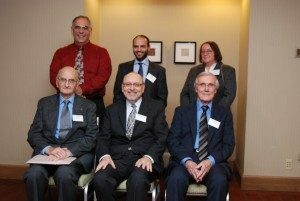 The third annual Academic Conference on the Pontian and Anatolian Greek Genocide presented five scholars who discussed of events before, during, and after the first world’s genocide of the 20th Century. 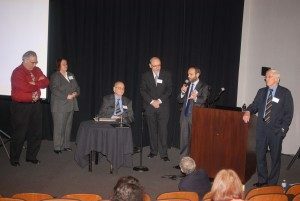 The conference was moderated by George Shrinian, Executive Director of the International Institute for Genocide and Human Rights Studies of the Zoryan Institute. In his introductory remarks, Mr Shrinian emphasized the Greeks, Armenians, Assyrians, and other groups that have experienced genocide have much to teach the world. The world has been unwilling to intervene, and genocide and ethnic cleansing still occur today. These violations of human rights cannot be forgotten or overlooked because when any group’s right are trampled, no one is secure. He urged Greek-Americans to support scholarly research of the Pontian and Greek experience; most now is not funded, either publicly or privately. The papers presented at this conference will be published in a book so these original works will be available for generations to come. Tessa Hofmann, PhD, Freie Universität, Berlin, Germany, presented her paper, “The Genocide against the Christians in the late Ottoman period 1912-1922.” She presented the events that led to and intensified the genocide of 3 million Christians, the first time in modern history where a state turned against its own citizens. Military defeats and reforms imposed by foreign powers were humiliating to the Turkish self-image. The Ottoman government’s retaliation was to create a Muslim Turkish state by force of arms, a policy that continued and intensified despite changes in government leadership. Alexander Kastrinakis, PhD candidate, Aristotelian University, Thessaloniki, Greece, presented his paper, “In Adam’s exile; the consequences of an anticipated crime and the idealized search for Greece.” The exodus from the ancestral land was examined through the experiences of a Pontian family from Trebizond. The family left Pontos for Odessa in the Ukraine, relocated to the Jerusalem, and finally migrated to Greece. Mr Kastrinakis examines the state terrorism events of the late 19th Century that culminated in 1918 with the Kemalist’s campaign to deprive the last Christians of their citizenship. Harry Psomiades, PhD, Professor Emeritus of Queens College and the Graduate School of the City University of New York, presented “Greece in Asia Minor; the Greek naval bombardment of Samsun, June 7, 1922.” In the year prior to the bombardment, the Allied powers deprived Greece of its normal belligerent rights under International Maritime Law to blockade an enemy port. The bombardment did not stop the flow of war materials to the Kemalists, who then declared the Pontos a war zone and used the raid as justification to increase their massacre of the Greeks. William Samonides, PhD, Historian and Professor Emeritus of Harvard University, presented “Where did everybody go? The Diaspora of Asia Minor Hellenes in the early 20th Century.” Those who left first went primarily to Greece and Russia. The Greek population in Turkey that converted to Muslim was forbidden to leave. Many Asia Minor Greeks later migrated to the United States, Canada, Germany, and Australia. Dr Samonides defined the features of the five types of Diaspora and discussed the changes in US immigration policies that imposed a 100 person per year quota on immigrants from Asia Minor after World War I that wasn’t lifted until after World War II. The conference’s final presentation was by Robert J. Pranger, PhD, a private consultant with extensive experience in public policy with the Department of State and Department of Defense in Washington, DC. His paper “US policy obstacles in recognizing the genocides of Christian minorities in the late Ottoman Empire: challenges and opportunities” gave extensive examples of how Turkey plays a central role in the Middle Eastern foreign policy of the US and Europe. Because Turkey is a valued ally, it has been able to advance its version of events and squash any official accusations of its participation in the genocide of its Christian citizens. Historians and students of history understand the power in studying history. Ron Levitsky, retired middle school teacher, reminded the audience that history shapes today’s world for good or ill. Revisionist history and denial by Turkey of its role in the genocide of Greeks, Armenians, and Assyrians has been supported by democratic governments that profit from political and business alliances with Turkey.